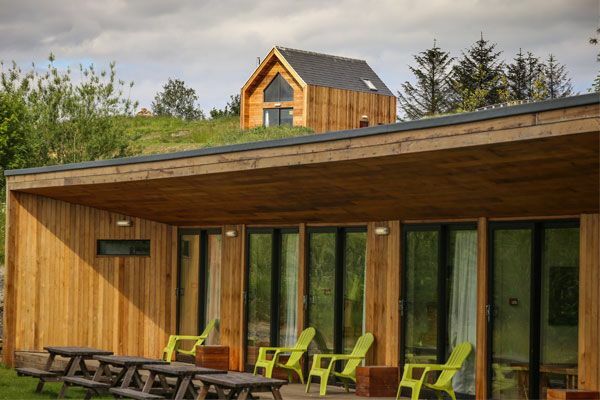 Tarset Tor’s striking timber eco-buildings integrate effortlessly into their natural surroundings, making the most of this remarkable location and providing the perfect base for any outdoor adventure. 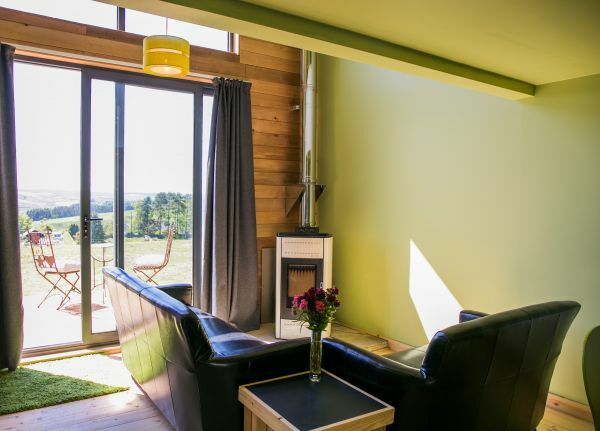 There is a beautiful, tranquil woodland setting, contemporary living accommodation, BBQ and fire pit, cycle store and bike wash and green energy technology. 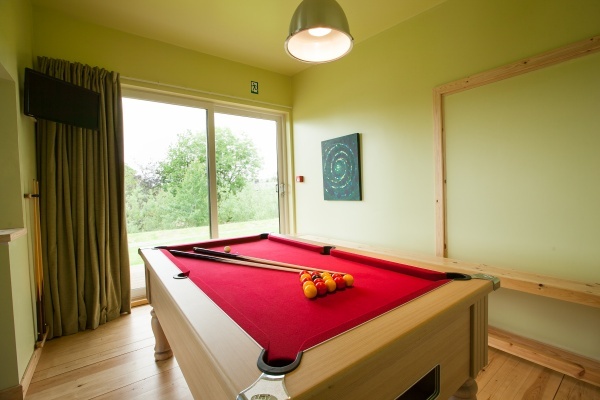 There is a pool table, drying room, free WiFi, sauna/bird hide and a private BYO woodland bar. Pets are very welcome. 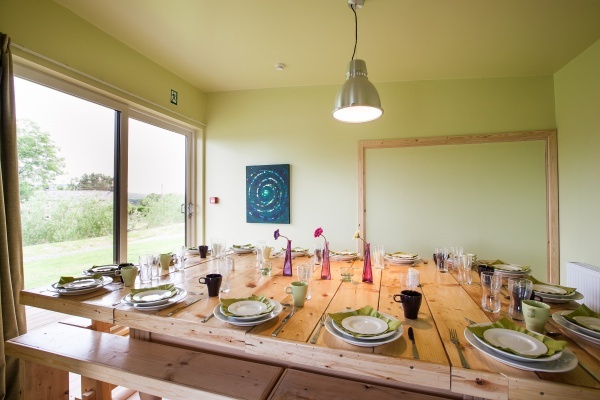 The stylish Bunkhouse is a superb social space, offering comfortable, contemporary sleeping quarters for 16/20 guests in 4 separate rooms, together with shared cooking, eating, showering, lounge facilities and a dining table that seats 20. The versatile floor plan can be quickly adapted to create a welcoming venue for events, conferences and parties. A south-facing covered veranda spans the length of the building, capturing the best of the sun and providing additional al fresco space. 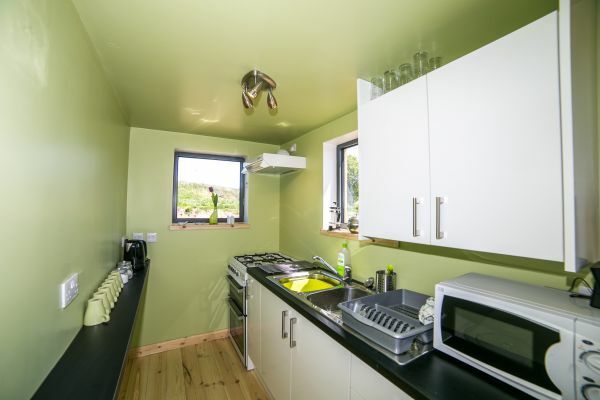 The 3 self-contained bothies sleep 8 in 2 rooms on a mezzanine level which each have an en suite shower facility. 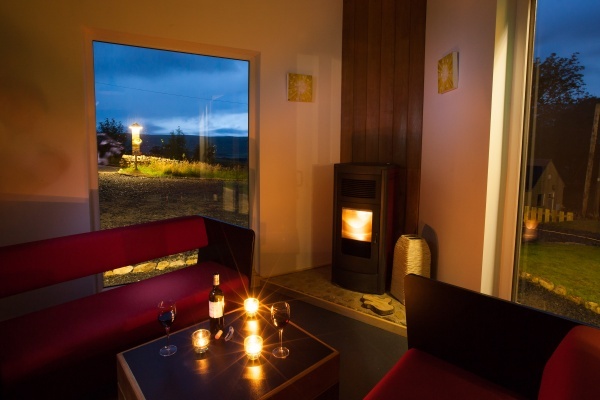 The open-plan layout includes cosy biomass pellet fired boilers as well as lounge/diner kitchens. There is a ground floor WC. Please note that the stairs to the mezzanine are steep. 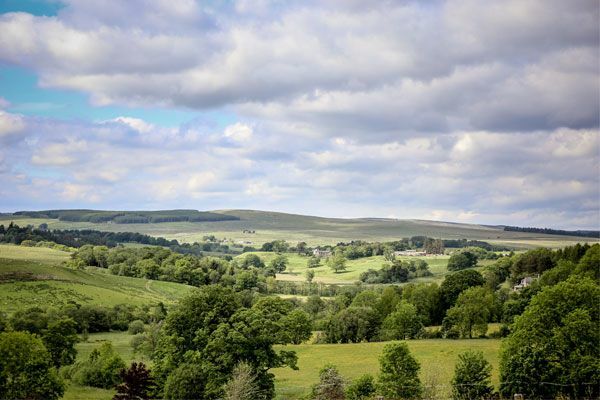 The Bothies benefit from individual verandas with vista's that extend to the North Tyne valley and nearby Scottish hills. Perfect for larger families or smaller groups looking to get away from it all and explore one of England's wildest and most unspoilt landscapes. From £176pn which works out at £22pppn. We have 3 hook ups on our basic site. 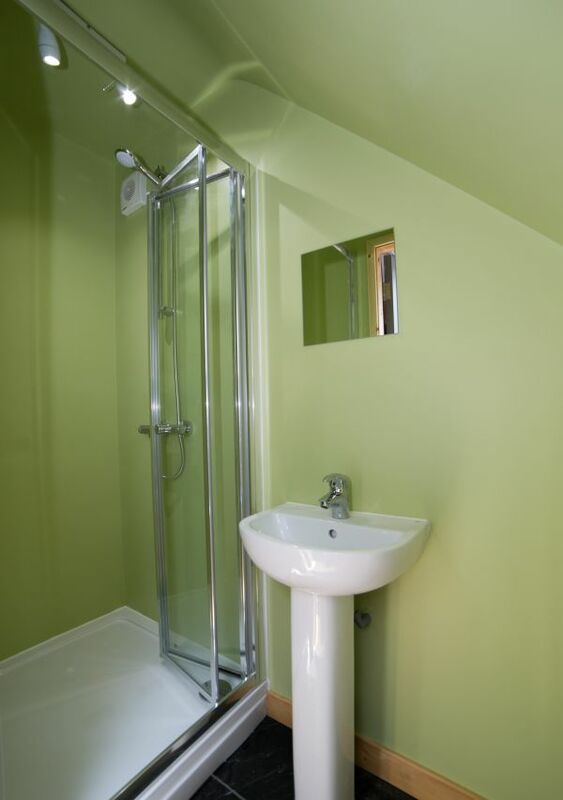 The site includes an eco-wc, one shower and 2 basins for your washing up. Our pitches are only suitable for campervans as there is a steep incline. 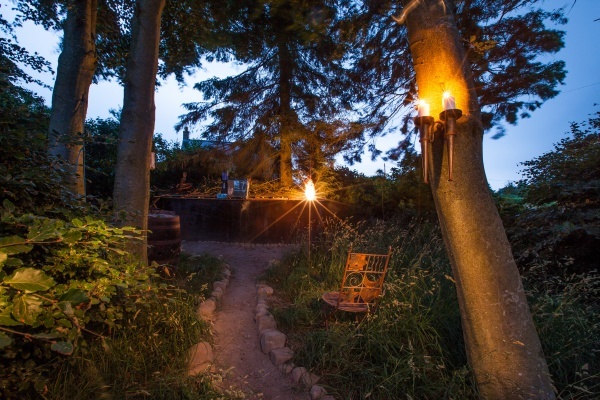 They are also areas available for bbqing and lighting fires. 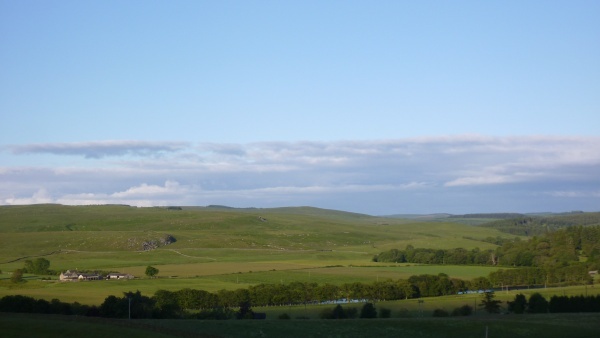 A small number of camping pitches are available for customers who book the whole site (which includes the Bunkhouse and 3 Bothies) Total bed spaces - 44. Please contact the owners for further details. 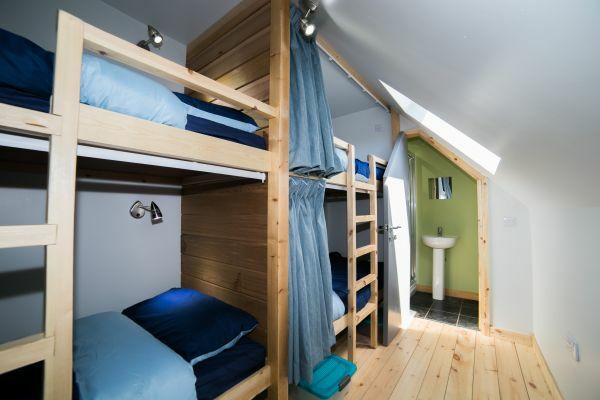 The Bunkhouse is also available as 4 individual family rooms, sleeping up to 4 people per room. Prices per room per night - Guide Price: £70, Minimum £50, Maximum £90. Call for availability. All year round, excluding New Year. This 'SPECIAL' is ideal for families as it also runs during school holidays. THREE FANTASTIC FELLAS HAVING A FANTASTIC TIME. Rob, we liked it you know. Sat in the Black Bull in Bellingham with the lads, we were struggling to find a place to rest our weary heads after a day fraught with all sorts. Euphoria at first, followed shortly by dispair after we were wrongfully evicted from Haughton Green Bothy by spiteful grandparents and their not so well mannered snap chat happy granddaughter. We marched to Hadrians Wall, to HomeStead, then to the car and onto the Black Bull where we were at a loss for where to turn next. Phone call, after phone call, rejection after rejection, but still we persevered. It wasn’t until we were rejected by the weird drunk lady across from the Black Bull that the lads, whom we were sat with decried ‘TARSET TOR’, in their thick North Easterly accents, for a moment or three, we pondered what they meant, trying to decipher their colloquials. It wasn’t until team member 3 called up Rob, and told him that ‘the lads from the Black Bull had told us to get in touch’. We downed pint, picked up tools and drove to pastures new. On arrival, we were greeted by the friendly, glowing sight of a Leeds United AFC badge encrusted on a chest of a jumper worn by the inn keeper in question, Rob. He showed us to our keep, a self contained, environmentally friendly, hand built Bothy. We bonded over a shared love of Yorkshire and whiskey, and as he left and closed the doors, we sat back, kicked back, and drank from the goblet of bothy wine. In Rob we trust. You’ll like it you know. Recently spent three nights here with friends and can't say how impressed I was! 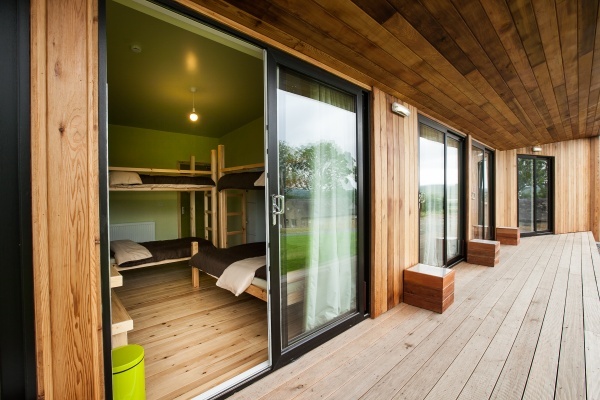 It's got to be one of the best bunkhouses I've ever stayed in, with very modern facilities! 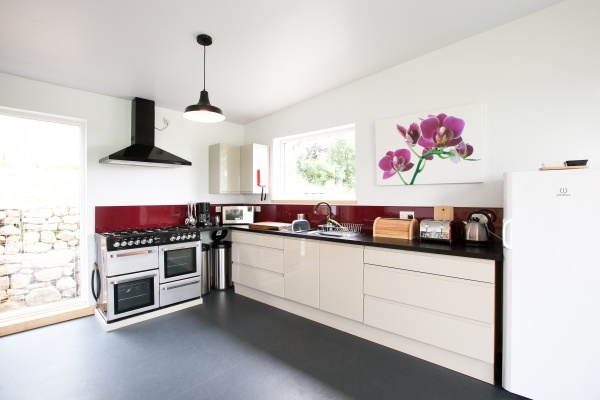 Kitchen, bathrooms and bedrooms are all very clean and well maintained. Plus having access to a sauna is an added bonus! 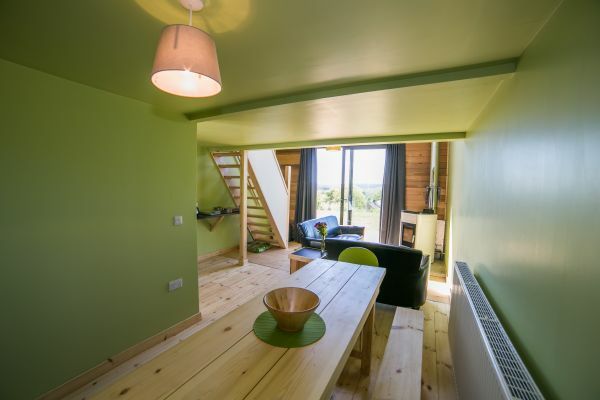 It's located in a fantastic area, perfect for hiking/mountain biking, amongst anything else outdoors activity based! Keep up the great work guys and thanks for a great stay! 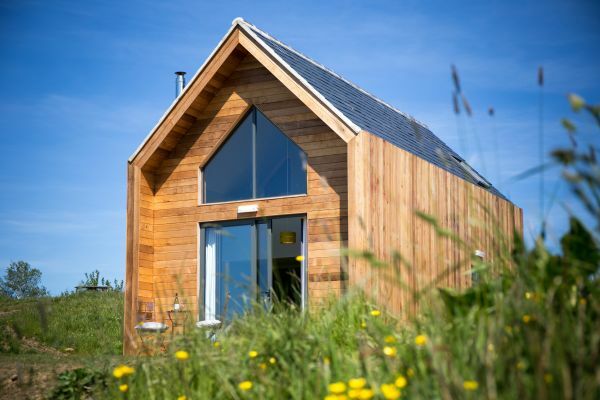 We hired one of the self catering bothys for the seven of us plus our dog, it was beautiful weather and we had a lovely time exploring the area, we cooked in the little kitchen and ate at the nice for all of us which was great. Although it is a relatively small space for seven people to share, having the large glass wall looking out over the stunning landscape gives a very open feel, it is really beautifully designed and worked well for us.